Fueled by a growth in virtual and augmented reality, 360 degree cameras are expected to see rapid growth over the next five years. 360-degree cameras allow users to shoot spherical videos and still images, which can be shared on services like Facebook and YouTube and experienced as virtual reality using a phone, tablet or dedicated VR headset. VR's applications for education have been much lauded, and tech heavyweights have begun investing in the technology, in part to both enable and capitalize on educational opportunities. Google, for example, has been offering its low-cost Google Cardboard kits, which, coupled with the Google Expeditions service, provides VR-based educational experiences and learning activities. 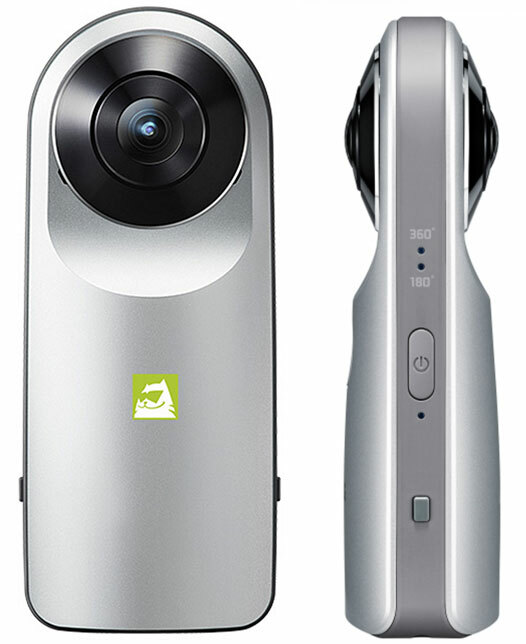 360-degree cameras typically feature two or more ultra-wide-angle lenses whose images are stitched together to create a spherical panorama. The LG camera shown here uses two lenses whose individual fields of view are slightly greater than 180 degrees. While VR content like Google Expeditions is being produced by third parties specifically targeting education, end users, too, are able to create VR content for phones and headsets by using 360 degree cameras to capture spherical (or hemispherical) images of museums, parks, concerts and historic locations. Cameras are already offers for end users by LG ($199), Samsung and Rico ($350) and many others. And those are gaining in popularity. "The most prominent force driving 360-degree video content and hardware is VR," said Eric Abbruzzese, senior analyst for ABI Research, in a prepared statement. "And though VR has been experiencing a period of content starvation due to its novelty, small early install base, and the high cost of premium VR, support from major content platforms will lessen this for 360-degree video." According to ABI: "360-degree video market activity is abundant across both consumer and enterprise applications. In regards to enterprise, Nokia already signed a multi-year deal with content giant Disney to use its OZO camera, and stated that VR and 360-degree video is a core business component as it restructures around forward-looking technologies and product line expansion. Additionally, wearable camera market leader GoPro, experiencing a slowdown in its core market, has its own professional-grade, 360-degree multi-camera rig and will likely release a consumer-grade, 360-degree offering in the near future." "It is rare to see a culmination of factors as powerful as what's happening for 360-degree cameras and video," said Abbruzzese. "Decreasing average selling prices for VR hardware and 360-degree cameras, the possibility for 360-degree camera integration with mobile devices, network and bandwidth improvements for 4K and HDR content that are also enhancing 360-degree video streaming, and a slowing wearable camera market all are creating a rich and promising next step for 360-degree video." Forecasts for the total size of the VR market vary, but, all told, the VR market across all sectors is expected to hit anywhere from $150 billion to $200 billion by 2020.